THE MODERATOR: Ladies and gentlemen, the winner of the Longines Breeders’ Cup Distaff is of course the Breeders’ Cup legend and one of the all-time greats, Beholder. We’re fortunate to be joined here by trainer Richard Mandella and jockey Gary Stevens. Congratulations to you both. Incredible performance. Gary, to start, I would just love for you to take us through the race, if you wouldn’t mind. GARY STEVENS: She warmed up just unbelievable today. She was very, very focused. Very relaxed, and her start was probably the sharpest start of her career, believe it or not. She wasn’t standing perfectly in there. She was kind of up in the front of the gate, and I like her back a little bit. But when you load last, you take what they give you, and, man, she left there. She charged for about 50 yards, and breaking from the outside looking in. I said, well, I guess we’re going again. I peeked over, and Mikey had gotten Songbird in full flight. Before the race I was hoping that I’m a Chatterbox would break decently and put some pressure, and I had broke her about a length. As we were crossing under the finish line the first time around, I’m a Chatterbox poked her head up in front of us, and I knew we were going a legitimate pace. My mare came off the bridle and just got into the rhythm that she gets into when I work her out in the morning. It was basically that kind of mode for her and myself until about the 5/16 pole. I just let her do what she wanted. Stayed comfortable. I picked her up a little bit a little earlier than I normally would just to apply pressure to Songbird, and got on even terms with her coming into the stretch. I squeezed Beholder. She gave it to me. Poked my head in front, and Songbird came back again. She actually put Songbird away three different times through the stretch, and she kept coming back like she wouldn’t go away. Even in Beholder’s previous three defeats, it was almost like she knew she was beaten midway through stretch and looked after herself. Today she didn’t look after anything. She laid her heart out there on the racetrack and gave me absolutely everything that was running through her veins, and it was fun to be a part of. I had some good feelings in racing, but this is tops right here. THE MODERATOR: We’re also joined now by winning owner B. Wayne Hughes. Richard, could we get your impressions of that epic stretch battle? RICHARD MANDELLA: Well, pretty exciting from the top of the stretch. I thought she had the other mares’ number, and like Gary says, she kept coming back, coming back. What a great filly to do that. But I like the way it turned out. THE MODERATOR: Mr. Hughes, your emotions after this race and her final start? B. WAYNE HUGHES: Well, I was very anxious for Gary to do exactly what I told him, and he followed my directions perfectly (laughter). Q. Gary, just the fractions as they popped up, what was it, 23 and change, and 47, what were your thoughts about those fractions and coming in? Would you have wanted those fractions? GARY STEVENS: Going the distance of the mile and a eighth, had I been on the lead and it was a five-horse field, which it wasn’t, I would have been very comfortable with those fractions setting them. For these kind of horses, they were solid but they weren’t too fast and they weren’t too slow. They were very comfortable for the caliber of horses that were in this race, the best of the best. Q. Richard, you said you were worried about having maybe used up all your luck in these races. Apparently not. You talk about your great success here in the Breeders’ Cup through your career? RICHARD MANDELLA: I don’t know. I don’t know what to say. It’s been something I wouldn’t have even been able to have imagined. I won four races on Breeders’ Cup Day in ’93, two Breeders’ Cup Races and two Stakes along with it, and I thought, boy, this will never happen again. Then in 2003 we won four Breeders’ Cup Races, and this mare just keeps running. I don’t know what I did to deserve it. Q. Gary, the stretch battle there, have you ever been a part of something that was that exhilarating? 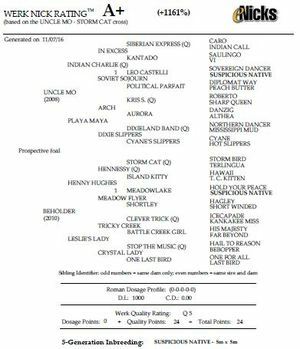 And what does that say about Beholder at 6 to fight like the way she did? GARY STEVENS: I’ve been in battles before, but never the length of the stretch. I mean, it was a full almost 5/16ths, definitely a quarter of a mile of just a street fight. For six years old, I would just say the way that she’s been managed throughout her career allowed her to do what she did on her final day of racing, and she laid it all on the line. The best of the best was training her, and he’d had this mapped out for a long time. The guy doesn’t just get lucky. Things happen for a reason in that barn. My hat’s off to Songbird. She’s a three-year-old that laid it all on the line today too. It will say a lot about her in the future because I’ve been in battles on really good horses and come out on the wrong end before, and it takes its toll on them. She galloped out strong after the race, Songbird did. So hopefully we’ll see some more of her, but she was gallant in defeat. But Beholder’s a champ, and I’m just honored to have been on her back. It was fun to be a part of a battle. The show that those two just put on by day just now is worth the price of admission for everybody that showed up today. This was horseracing at its best. THE MODERATOR: Mr. Hughes, could you expand on what the mare has meant to you over the past five years? B. WAYNE HUGHES: Well, I mean, I guess I don’t bet on horses, but today I did make a bet. That was because of Richard and Gary, who were more confident than I was. So today she made a couple bucks. I don’t think I’ll ever have another horse like this, and so I’m very grateful to have been a part of it. I mean, I really compliment Richard. I don’t know of any trainer that could have taken a horse for six years and done what he’s done. But Gary has been a big part of it. Maybe that’s why he was able to be so successful. Q. Richard, you were confident coming into the race. What have you seen the last couple of weeks? Had you sensed that even though this had been a great horse for a long time, that some people might have gotten off the bandwagon after the last couple? RICHARD MANDELLA: Yeah, well, you see, I thought the game needed some suspense, so I got her beat a couple times, figuring it would make it look like I did something really special at the end. You know, it’s all in the planning. RICHARD MANDELLA: Anybody that saw her train would have had the same confidence. People would come out of the stands and tell me what they saw on the TV. So it wasn’t hard to see. She was really at her best. Q. First of all, thank you so much for the joy that you’ve brought to so many race fans by keeping the horse around for so long. Thank you for the wonderful job you did riding this horse today. My question is for you, Mr. Mandella. This training job has to be one of the most incredible training jobs in modern racing history. Anybody who sees that Kentucky Oaks, can you talk about that? Because I want to congratulate you on the wonderful job you did, and could you say anything about the training of this horse? RICHARD MANDELLA: Well, I’ve always said that really good horses appreciate my training better than others. GARY STEVENS: And that’s it (laughter). RICHARD MANDELLA: She’s always been a little bit difficult, but we get that. Usually you get that and you don’t get performance with it. She would give her heart no matter what. B. WAYNE HUGHES: Show them your hand. RICHARD MANDELLA: She kicked me on the way up. But she’s 90% of the time the sweetest thing that you could find. But the other 10% is dynamite. You better watch out. Q. Gary, you said earlier this week you had countless scenarios of how the race was going to run, but they all ended with a happy ending. Was this one of the scenarios you had; that it was going to be that close down the stretch? GARY STEVENS: It was plan one. I mean, very early in these big races you have different scenarios, plan A, B, and C. And that was plan A. With the trip that we got, and I knew it wasn’t going to be easy, and I could hear somebody coming up on the outside, and I still haven’t watched the replay. I just assumed that it was Stellar Wind. I said, Here we go again. And all of a sudden that noise on the outside left me, and it was just the two. It was just myself and Songbird. It ended the way that all of the scenarios had gone. It wasn’t supposed to be that close, but I’ll take it, for sure. Q. Mr. Hughes, do you have any thoughts, any second thoughts about retiring her now? B. WAYNE HUGHES: Do I? B. WAYNE HUGHES: Well, I mean, I think it’s time for her to go the normal route of going back to Kentucky and not having to have Richard and Gary to deal with. Q. Gary, did you know you had won photo? RICHARD MANDELLA: Yeah, I mean, I let out with a pretty loud holler three or four strides past the finish line, and both Mike and I both rode past the finish line a bit, because there’s purple Breeders’ Cup colors underneath the rail. So we were coming down, I had my head down, just riding for all I was worth. I’m thinking, man, that finish line’s got to be coming. And all of a sudden I could see purple out my peripheral vision, and I said: We’re getting there. I’m in front. When we stood up, I let out with a yell, and Mike looked over at me and congratulated me. When I saw the photo after the trophy presentation, it was closer than I thought it was. But they always are. Q. Richard, with how emotional this victory is and what this mare has meant to all of you, does this surpass the other Breeders’ Cups accomplishments you’ve had? RICHARD MANDELLA: How do you separate them? You know, I’ve had some very special moments in the Breeders’ Cup and special horses. So I couldn’t — I don’t even want to compare it. It couldn’t get any better than this, I’ll tell you that. THE MODERATOR: Maybe to follow up on that, if you would, Richard, or all three of you, you’re all three men that appreciate racing history. Could you just attempt to help us put this into context in terms of Beholder’s accomplishments and where she now stands in the history of racing? RICHARD MANDELLA: I don’t think you can find one any better. I mean, she got beat a few times, but you can just lay that on me. But she’s always been a great horse. Most of her wins had some kind of a story behind them, an ulcer in the throat, a cut to the bone in New York, falling down behind the gate in the Kentucky Oaks. So we don’t need to make any excuses. She couldn’t be — how great could you be? B. WAYNE HUGHES: Well, I don’t have as much experience as Richard, but I can say that she’s by far the best horse I’ve ever had or ever expect to have. THE MODERATOR: And, Gary, you’ve ridden a lot of fillies and seen a lot of great fillies and mares, so just your thoughts on Beholder’s place in racing history now? GARY STEVENS: I think she had cemented her place in history prior to 2016, and she just added another star to it today. I’ve just never seen a racehorse stay at this peak form, especially a filly, and one that can be temperamental a little bit. But she thrives on racing. She thrives in her environment. For her to hold her form since her two-year-old season, and nowadays that’s throwback, I mean, they don’t usually get a chance to do it, and thank you to Mr. Hughes for keeping her around and being a sportsman. But she was able to do it and sustain it and thrive on it. RICHARD MANDELLA: I’d like to say, I think racing owes Mr. Hughes a hand of gratitude. Most people would have sold her or gone on and bred her and took the easy route. B. WAYNE HUGHES: You know, I don’t deserve that because I was afraid if I take her out, Richard would be dangerous (laughter). Q. Mr. Hughes, speaking of breeding her, have you picked out a partner for her yet? B. WAYNE HUGHES: Well, actually we don’t know for sure. We’re debating between a couple of different stallions. So I’m in a little bit of a spot here. RICHARD MANDELLA: Say I don’t know. B. WAYNE HUGHES: Richard’s advice is say “I don’t know.” But that would be a lie, but I guess I’ll do it anyway. Thank you (laughter). Q. Going back to the duel there at the end, is that the ultimate rush for a guy in your profession to have something like that? GARY STEVENS: Yeah, people ask me why I came out of retirement. People ask me on a daily basis, Why are you still riding, you old fart? And I can’t replace that; what I just experienced. I mean, my adrenaline, I took off, I’m on the last race, and I apologize to the connections, but I’m not only drained physically, but emotionally. That was a very special moment for all of us, and it was bittersweet for me. I know that I’ll never sit on another one like that and to go through the battle that I just went through. Like I said before, I’ve been in great battles and, believe it or not, at the 1/16th pole I thought back to 1988 and Winning Colors and Personal Ensign, and Personal Ensign came down the outside middle of the racetrack and nailed us, and I just kept thinking don’t let this one get away. Don’t let this one get away. And it is the ultimate. It’s the ultimate. RICHARD MANDELLA: Could I tell a story? RICHARD MANDELLA: I’d like to run this by one more time. I used it at a function to honor him once, and Mike Smith and somebody asked me how did I choose between him and Mike Smith after he retired and the filly was laid up and Mike had ridden her once, and I said, well, I gave it a lot of thought and Mike’s great and Gary’s great and I’ve had luck with both of them, but Gary Stevens went to the Wizard of Oz and got a new knee. How could I refuse him? B. WAYNE HUGHES: I thought you asked me who to ride? RICHARD MANDELLA: Oh, I forgot that. GARY STEVENS: That’s not as good a story (laughter).